Manhattan, New York City, NY. October 1966. Anti communist demontration in favor of the war in Vietnam. Vietnamese flag is burned. 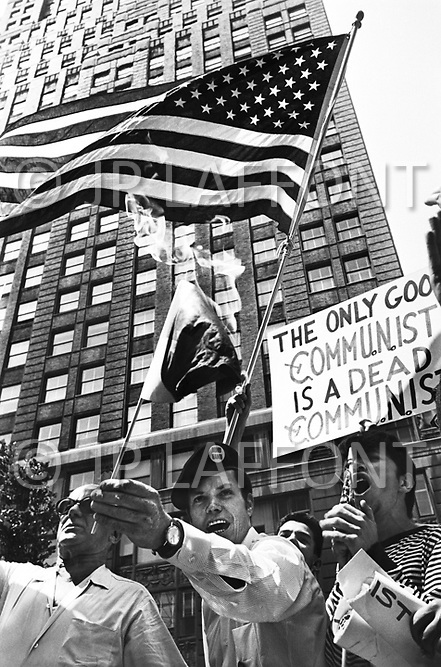 On the sign we can read: "The only good communist is a dead communist." On the beret of the demonstrator there's a badge that says: "Bomb Hanoi".